1) SAVE - First, right-click on the image below. Select the "Save Picture As" option. Then save the image to your computer. 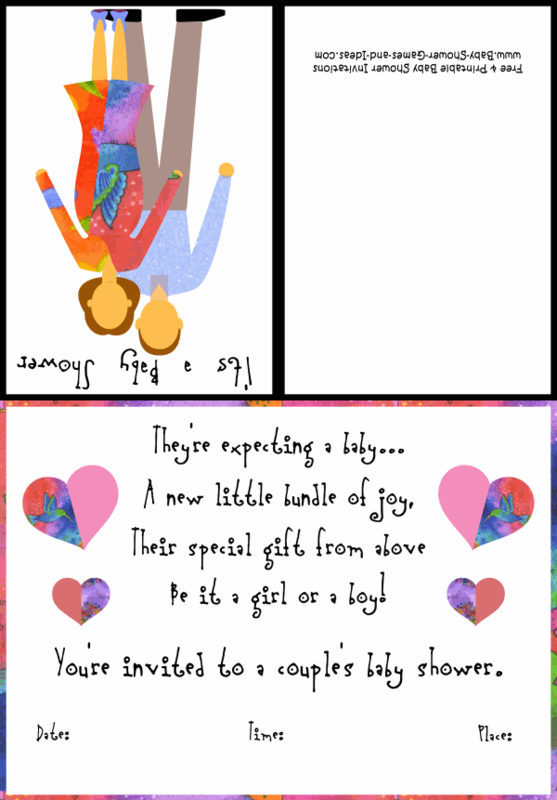 2) PRINT - Open the folder to which you saved the baby shower invitation and print several copies. 3) FOLD - Lastly, fold the baby shower invitation along the dotted lines. It's ready to be given away! Please Note: All images are designed to fit a standard 8"X11.5" sheet of paper. However, you may need to adjust your individual printer options so that the image fits the page. A quick way to achieve a perfect fit without changing your printer options, is to trim the card after it has been printed and folded.